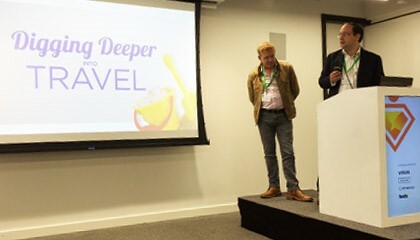 Last month Mike Brinn, Global Loyalty Director and Rob Scott, Group Creative Director were invited to share their experience on how to build a successful loyalty scheme by driving true customer engagement. Here is what we learnt from the session. “You need your customers more than they need you” isn’t a phrase uncommonly heard in the loyalty industry. It’s the customer centric approach we have been practicing for years and it’s never been more important as it is today. We live in challenging economic times that have forced consumers to be more considered with their spending. So how do you drive customer loyalty in a market demanding value for money? Customer loyalty is important, but engagement is the element marketers need to focus on in order to be successful in today’s loyalty environment. You can’t treat a loyalty scheme as a box ticking exercise just because everyone else has got one. You need to work at building engagement first and the loyalty will follow. Loyalty schemes need a purpose. A concept derived from the deep brand history. While the technology is important, this isn’t where it should start. 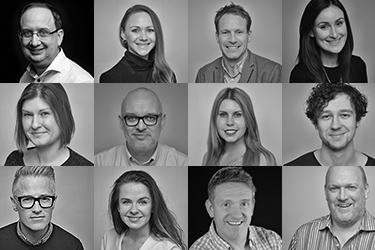 Just like brands, loyalty schemes need personalities too and often this is forgotten when the implementation process is led by the I.T team, working in silo from the marketing team. The truth is, travel industry research shows people aren’t engaging. Engagement in a scheme is measured by redemptions and there are currently $48 billion worth of points and airline miles unredeemed in the travel industry. Skift has also revealed that 80% of US airline loyalty members are totally inactive. A common reason for this is the achievement threshold is just too high and with points only redeemable against other flights, engagement is limited to when that customer wants to travel. On the contrary, 75% of travelers are actually willing to share personal information in exchange for tailored promotions, vouchers and priority service. Pure Loyalty, the sister company of TLC, come at it from a slightly different angle, focusing on three critical areas creativity, in-depth customer profiling and relevant, desirable rewards. We start with an idea that is big enough to spawn unique behaviors and retain authenticity. This idea then determines how that scheme behaves. 61% of travelers are looking for loyalty programmes with a broad spectrum of rewards, while research produced by Foresight Factory and the DMA reveal 43% of consumers want more gifts in their loyalty scheme. As a result the majority of our clients allocate around 70% of their budget on rewards. Adding value with more interesting, lifestyle experiences that allow them to ‘earn and burn’ points. One thing to remember is people are realistic. They’re not expecting anything over and above what they haven’t rightfully ‘earnt’ but would like the option to be able to redeem from a range of lower value products or services in line with what they have so far accrued. Without this, the alternative is they’re just staking up points and you’re not getting any engagement. Rewards don’t have to be limited to the hotel, airport or plane environment just as long as they extend the sense of occasion you as a brand have created. Rewards such as language courses, lounge access, airport parking or a 2-4-1 days out pass when they reach their destination create moments that will live in the memory, driving long term loyalty. What many travel brands have forgotten is that their customers like to explore and rewards have got to be more local to the customer, not just redeemable against things in the hotel, if you’re an hotelier or on the plane if you’re an airline. There seems to be a sense that in order to keep customers, you must offer them more of your services and products. The reality is, you can’t expect customers to love everything about you, but you can be a bit truer to them building real engagement rather than just meeting your business objectives. When a brand rewards customers not just for transactional behavior, but for every interaction they have with the brand, it dramatically increases engagement rates. We call these ‘soft benefits’ and include things such as rewarding engagement with emails, liking social channels or watching video content. In turn, you’ll receive insight into your customers preferred channel of communication as well as the style of communication they best respond to. Above all you will start to discover what their interests and passion are and start rewarding them accordingly. To hear how we have helped a broad spectrum of brands achieve engagement in their loyalty schemes visit the Pure Loyalty website and scroll down to our case studies. Alternatively you can drop us an email and one of our friendly team will get back to you.